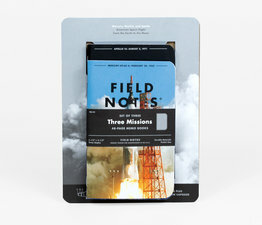 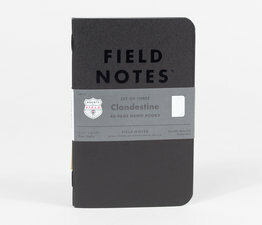 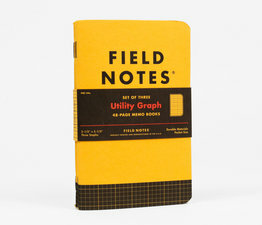 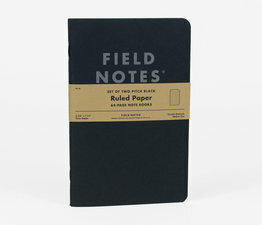 An old-school gas-station-style, difficult-to-refold-properly, Field Notes National Highway Map. 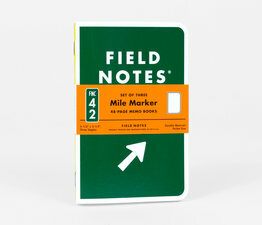 No self-respecting glove compartment should be without one. 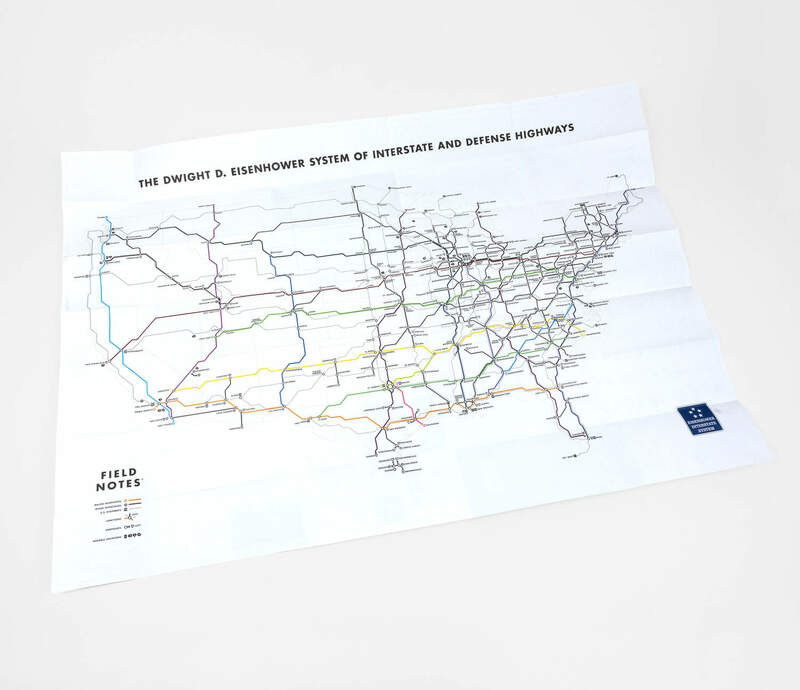 This handy map unfolds to 36” x 24.5”. 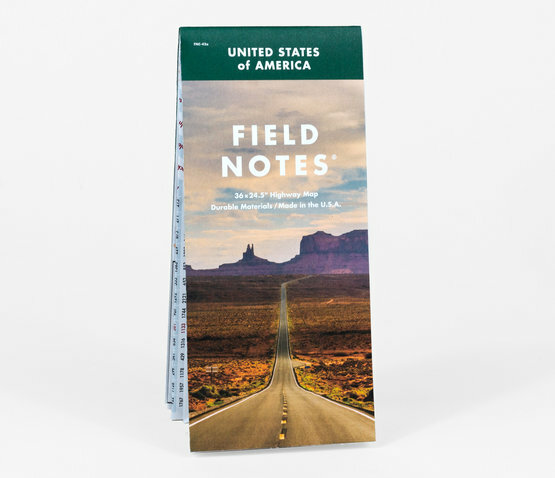 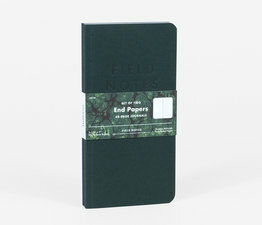 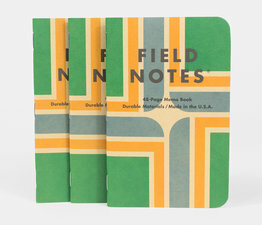 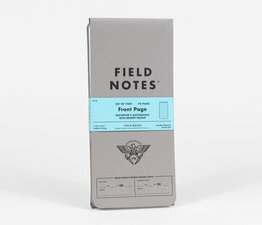 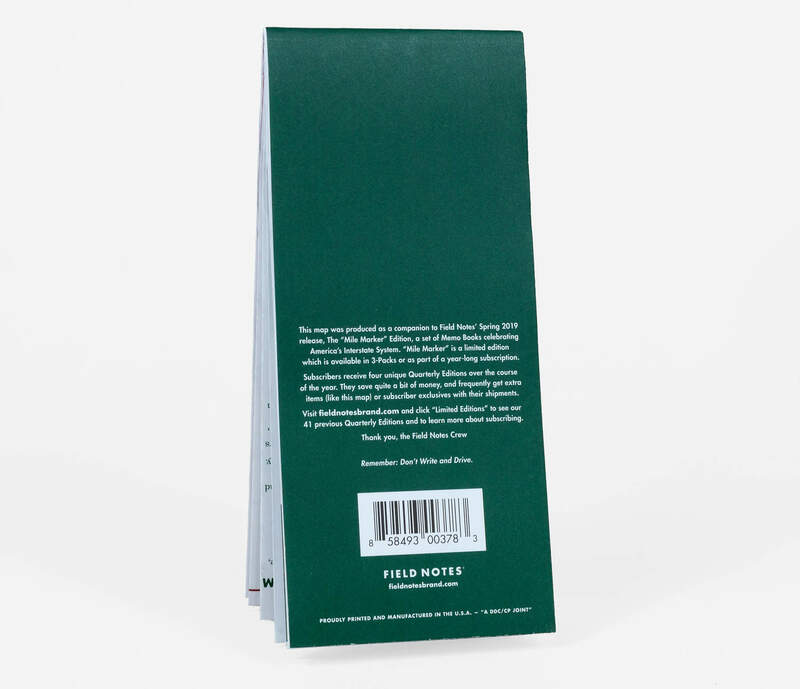 One side features a large, colorful diagram of the continental Interstate System, designed exclusively for Field Notes by Cameron Booth. 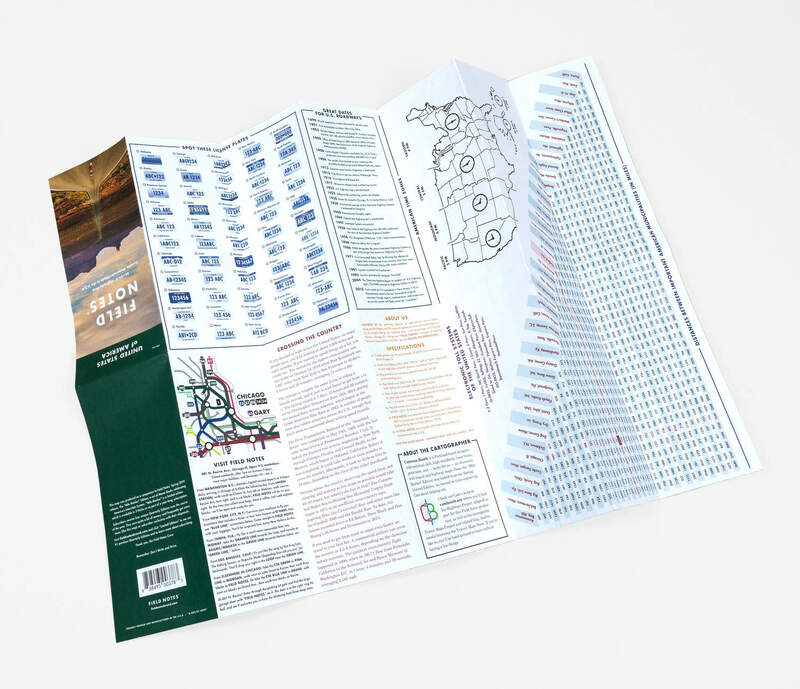 The reverse side features 28 panels completely jammed with useful, sorta useful, and some fun-but-not-at-all-useful information. 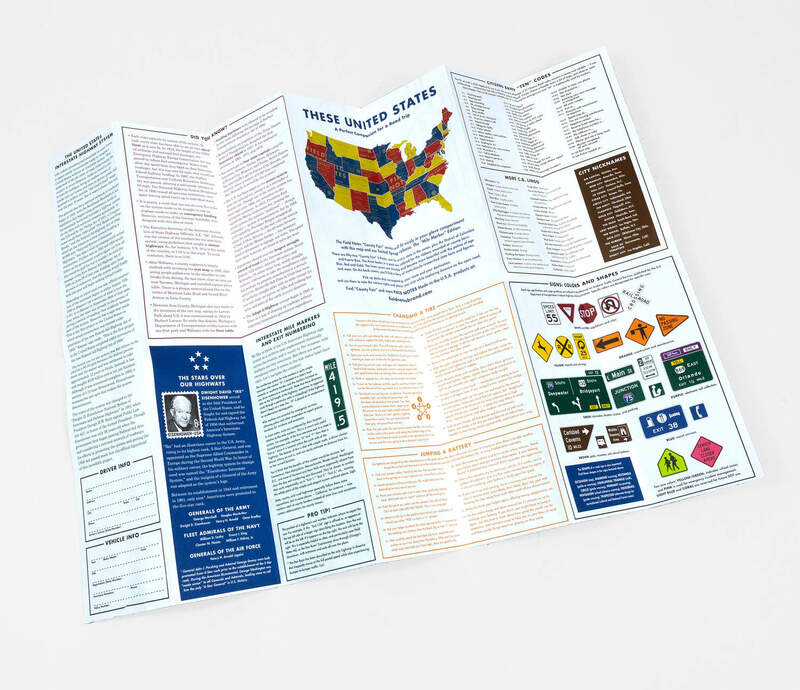 The Map includes a history of the Interstate System, national traffic control sign design guidelines, a classic “License Plate Game” scorecard, and tons of other helpful and/or arcane information guaranteed to entertain, educate, and/or confuse you on your next big road trip.